If you’re looking for a quality grey umbrella, you’ve found it. 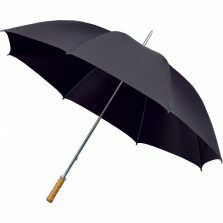 The perfect addition for anyone wanting a brolly without breaking the bank. Looking for a grey walking umbrella? You can get a little jaded when you work with umbrellas every day. So when something really special comes along it can cause a bit of a buzz up here in Umbrella Heaven. And that’s exactly what happened when we discovered the Warwick windproof umbrella range. Cliché agogo I’m afraid… but this is one of those umbrellas you have to see and feel for yourself to really appreciate it. 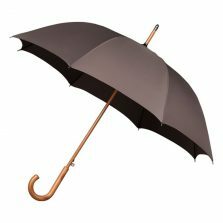 The first thing you notice about this grey walking umbrella is the smooth, lacquered, laminated wooden handle, wooden shaft and end tip, which is topped off with a graphite grey metal ferrule, matching the metal open cap and rounded spoke tips. The perfect addition to any outfit, why not treat yourself? 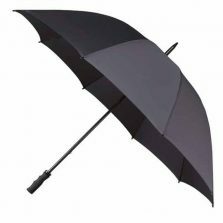 The Warwick Grey walking umbrella boasts a powerful automatic opening mechanism, thanks to the 8 spring system. You need to take care when you press the button as it’s more than capable of knocking a pasty out of the hand of a nearby tin miner. WHOMP!! The strong, light fibreglass ribs of this grey walking umbrella are mated to a steel 8 spring frame, with additional nylon cantilever system for increased flexibility and longevity. 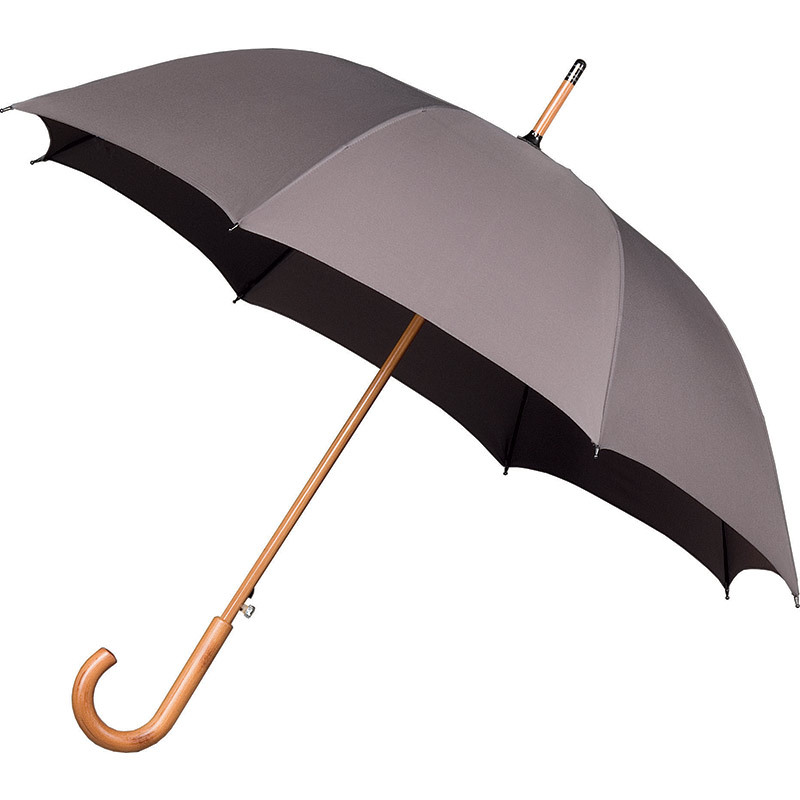 The canopy of this grey walking umbrella is “pongee”, widely regarded as the only choice for a serious umbrella. Canopy width is approximately 105 cm and overall length 89 cm (35″). Weight 440 g approx. 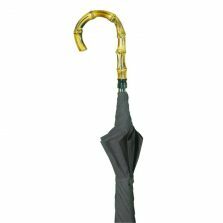 Available in choice of colours the Warwick Windproof Grey Walking Umbrella is equally stylish and practical for ladies or gents. Not the one for you? Check out the rest of our range of mens walking umbrellas!